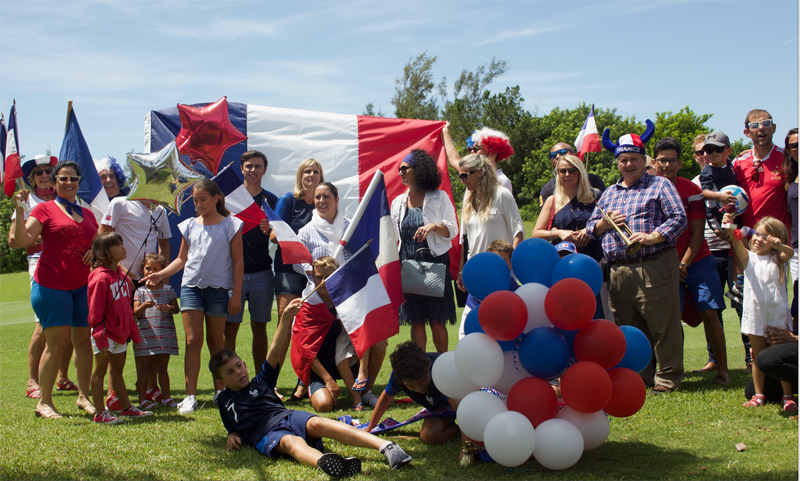 The French community in Bermuda was in full celebration mode following France’s win in the FIFA World Cup, with the country’s 4-2 win over Croatia sealing their World Cup title. 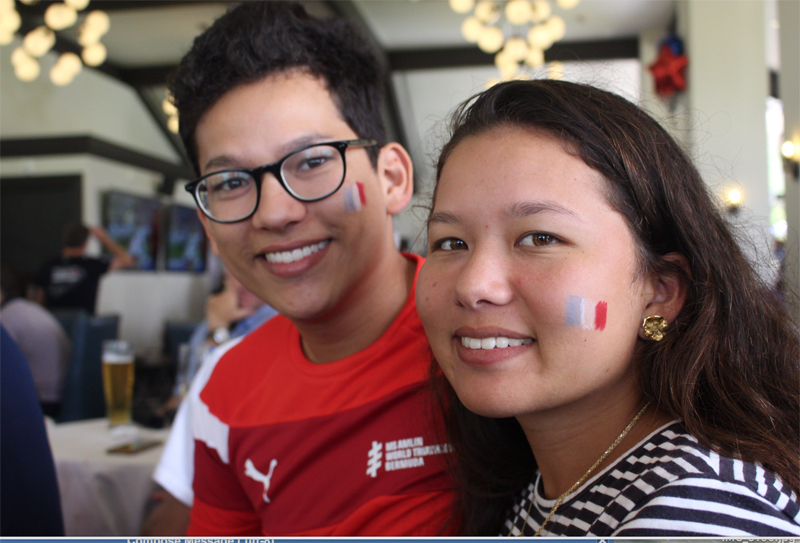 The victory sent French fans into raptures of joy in France and all over the world, including in Bermuda where members of the L’alliance Française des Bermudes were gathered at Boundary Sports Bar and Grille at the Fairmont Southampton to watch the match, many sporting hats, shirts and balloons in France’s national colours. Hope they feel proud with helping Haiti with the state they are in, well most of their players are African so I guess thats a form of compensation. 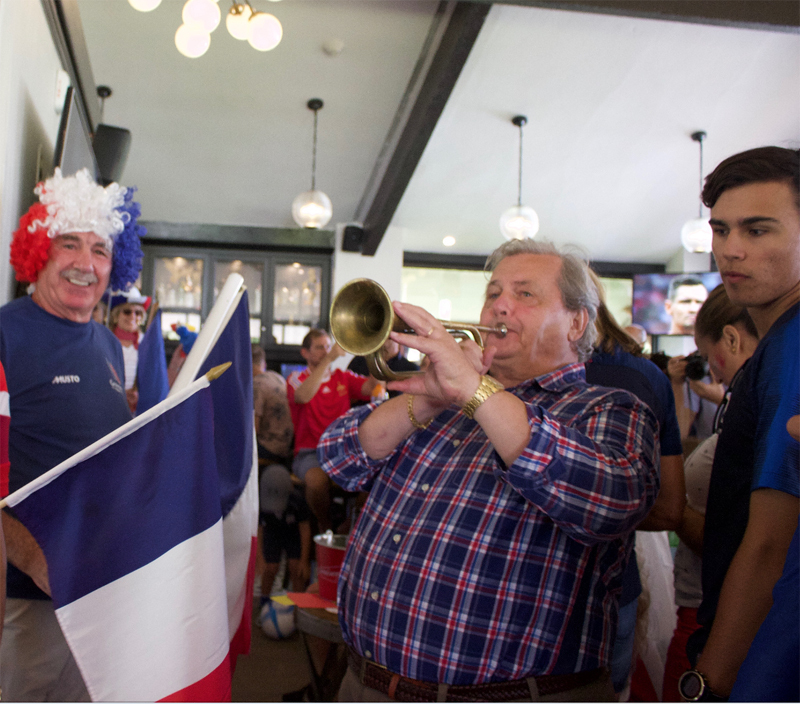 I thought you had to be French to play for France..
French citizens, but African ethnicity. Didnt think I had to explain, but you cant take everything for granted. You never ceases to amaze me Onion Juice. I just can’t figure out if you are driven by hate, the product of inbreeding or just dopey. By the way Onion Juice based on your racist orbnarrow minded thinking I trust that you will be protesting against the Bermudian players playing for England Football and Cricket teams even though they were not born in England. You can’t have it both ways. He should not be we are UK Citizens. Oh I see. So how did Africans end up in a terrible place like France? 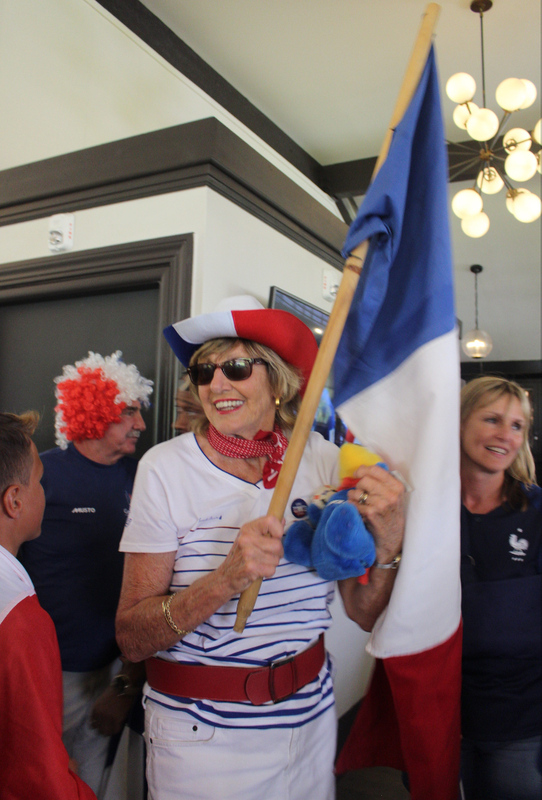 I thoroughly enjoyed my own people being chosen to represent France in the recent World Cup and for France to WIN!!! WIN!! 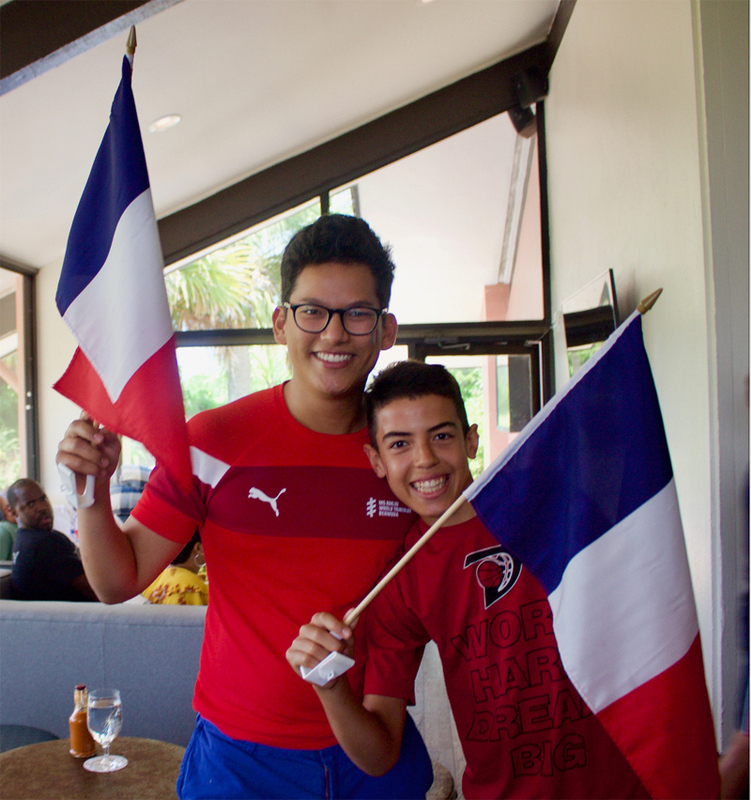 Merci France, for diversity in the French team…Mbappe, Kante, Umtiti, Lzondzi, etc. Job well accomplished. Didnt know we had a French Community.